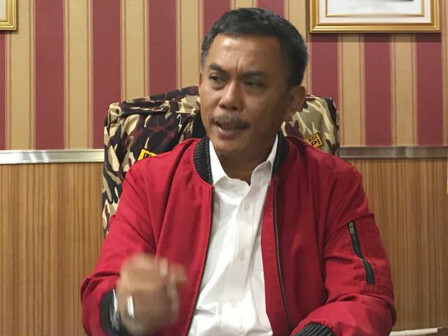 City DPRD Chairman, Prasetyo Edi Marsudi asks Jakarta Provincial Government to sterilize illegal parking from HI Roundabout, especially at night.
" Illegal parking is rampant above 9 PM in HI Roundabout area"
"Illegal parking is rampant above 9 PM in HI Roundabout area," he expressed, Wednesday (7/11). The man who popularly called as Pras admitted if it is ignored, it will cause unwanted things. Considering the motorcycles to the area is often parked around the shoulders of the HI Roundabout. "They parked right on the roundabout. If the vehicle gets hit, it will become a new problem," he said. That is why it must be controlled as soon as possible. Moreover the capital will be the host of Asian Games in the forthcoming August. "The city must prepare the order, beauty and cleanliness as well as possible. Surely this case should be solved," he told. Responding on this matter, Jakarta Transportation Dept. Vice Head, Sigit Wijatmoko revealed his dept. would cooperate with the police to control illegal parking on the site. "We'll do this soon," he said.